“All right girls, here is 3 dollars for your honey pops! Thanks mom!! !” That is how every Saturday morning starts for us at the Athens Farmers Market. 3 Porch Farm is our Popsicle superhero!! 3 Porch Farm has four top flavors for popsicles: Strawberry, Strawberry Meyer Lemon (sometimes), Strawberry Basil, and Chai. My sisters and I always get the three strawberry included flavors and sometimes chai. So that would tell you how good that is. 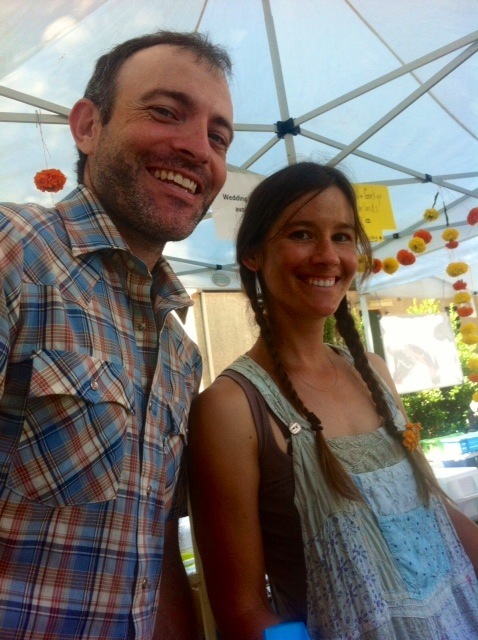 Our lovely farmer friends Mandy and Steve are 3 Porch Farm! They have very colorful marigold streamer like things, along with some very tasty syrups. They do solar power to benefit the earth and they also use Bio-Fueled cars that also benefit the earth. 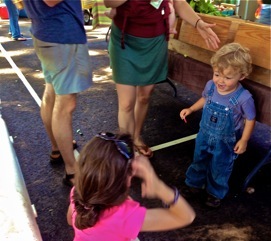 3 Porch Farm loves coming to the Athens Farmers Market! They decided to make honey pops because almost everyone loves popsicles! They thought that if they could make popsicles that are healthy for us and for the planet it would be a win/win situation. Everyone really does love these honey pops! Adult and Kid wise through the whole course of the year the best selling product is HONEY POPS!!! They love interacting with new people and recognized faces. The Athens Farmers Market was wonderful today and is always wonderful. There are always new faces and some cool people too. We also like just coming out and hanging out at the Athens Farmers Market. Oh and keep an eye out for our hula-hoops if you would like to try something new. Hopefully we will see you next time at the Athens Farmers Market.